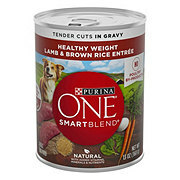 Satisfy your puppy's cravings for tender, meaty goodness when you fill his bowl with Purina ONE SmartBlend Healthy Puppy Natural Classic Ground Lamb & Long Grain Rice Entree wet puppy food. Lamb, long grain rice and oat meal combine to create a delicious recipe, and a formula with 0% fillers and no poultry by-products means that every high-quality ingredient has a purpose. High protein in every serving supports your growing puppy's strong muscles so he can pursue his playful activities every day, while omega fatty acids help support his healthy skin and coat. Pop open this canned puppy food to watch him delight in every mouthwatering bite, and rest easy knowing he's getting 100% complete and balanced nutrition for puppies to support his lifelong whole-body health. Use the chart as a guideline and adjust the feeding amount as needed to maintain your dog in ideal body condition. Divide daily amount into multiple feedings. Your dog's needs may vary according to age, activity level and environment. Always provide fresh water in a clean container. Proper diet, exercise and veterinary care are the best ways to keep your dog healthy. 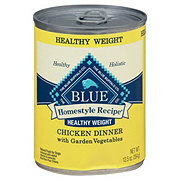 Daily Feeding Guide: 4 lbs: 1/2 can canned food only; 1/4 can canned + 1/4 cup Purina One dry formula. 12 lbs: 1 can canned food only; 1/3 can canned + 1/2 cup Purina One dry formula. 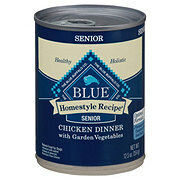 20 lbs: 1-1/2 cans canned food only; 1/2 can canned + 1 cup Purina One dry formula. 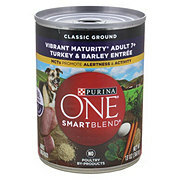 35 lbs: 2-1/4 cans canned food only; 3/4 can canned + 1-1/4 cups Purina One dry formula. 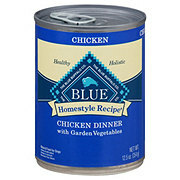 50 lbs: 3 cans canned food only; 1 can canned + 1-2/3 cups Purina One dry formula. 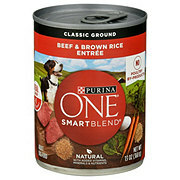 75 lbs: 4 cans canned food only; 1-1/3 cans canned + 2-1/4 cups Purina One dry formula. 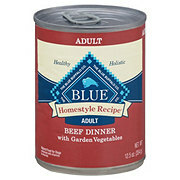 100 lbs: 4-3/4 canned food only; 1-1/2 cans canned + 2-3/4 cups Purina One dry formula. Refrigerate unused portions. Ingredients Lamb and Chicken Broth, Lamb, Chicken, Liver, Meat By-Products, Turkey, Long Grain Rice, Oat Meal, Spinach, Egg Product, Carrots, Potatoes, Potassium Chloride, Guar Gum, Carrageenan, Salt, Choline Chloride, Calcium Phosphate, Vitamin E Supplement, Locust Bean Gum, Zinc Sulfate, Ferrous Sulfate, Niacin, Copper Sulfate, Thiamine Mononitrate, Manganese Sulfate, Calcium Pantothenate, Pyridoxine Hydrochloride, Vitamin B-12 Supplement, Riboflavin Supplement, Vitamin A Supplement, Potassium Iodide, Folic Acid, Vitamin D-3 Supplement, Biotin, Sodium Selenite. Crude Protein: Min. (8.0%), Crude Fat: Min. (7.0%), Crude Fiber: Max. (1.5%), Moisture: Max. (78.0%), Zinc (Zn): Min. (55 mg/kg), Selenium (SE): Min. (0.05 mg/kg), Vitamin A: Min. (2200 IU/kg), Vitamin E: Min. (22 IU/kg).